We are very proud to be part of a new machine project devised by Intelligent Growth Solutions. The Worlds most technically advanced Indoor Vertical Farm. 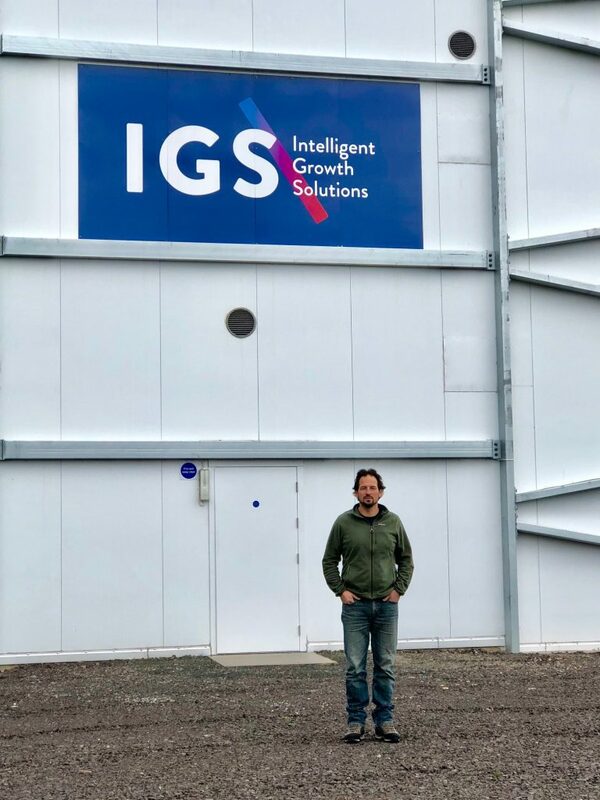 Due to the fact IGS didn't know of a better alternative; the technology was first developed using standard roller shutter doors. 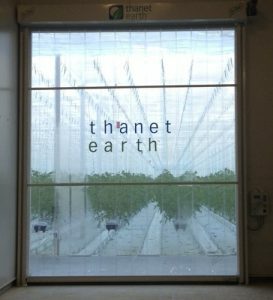 That was until Intelligent Growth made a visit to Thanet Earth in Kent. There, they came across our Eco-Strip High Speed Doors on the Greenhouses. 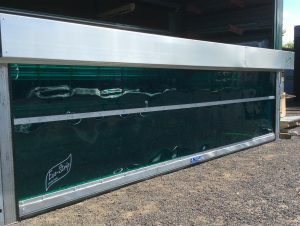 The potential the Eco-Strip doors offered for the Vertical Farm prompted them to contact us. As a result, this High Speed Door Project was born. Small prototype doors were manufactured and sent to Scotland to test run on the machine. 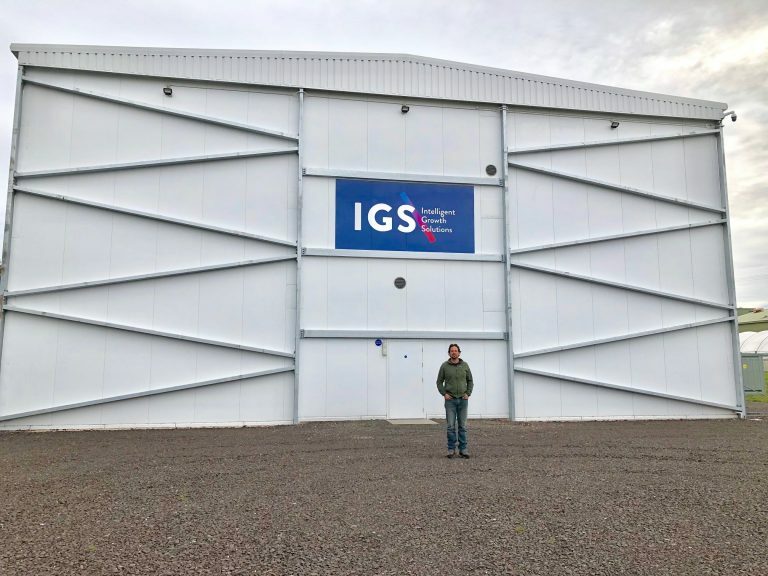 As a result, IGS commissioned full size versions of the High Speed Door Project which were installed on the final version of the machine pod. The newly patented machines were ready to go to full production. 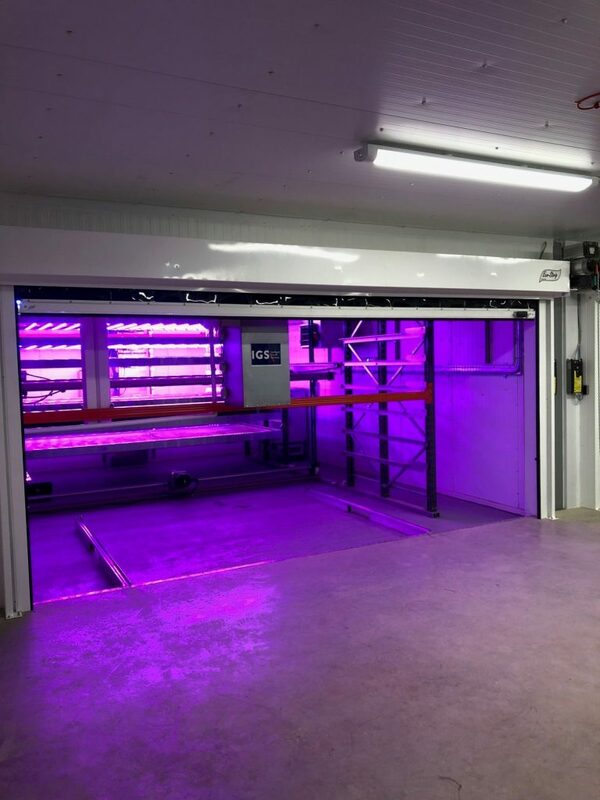 For that reason, we made a trip to Scotland to visit the Vertical Farm Facility. The growing pod was very impressive. The high technical specification of the Eco-Strip Speed Doors worked perfectly alongside the pods high spec technology. 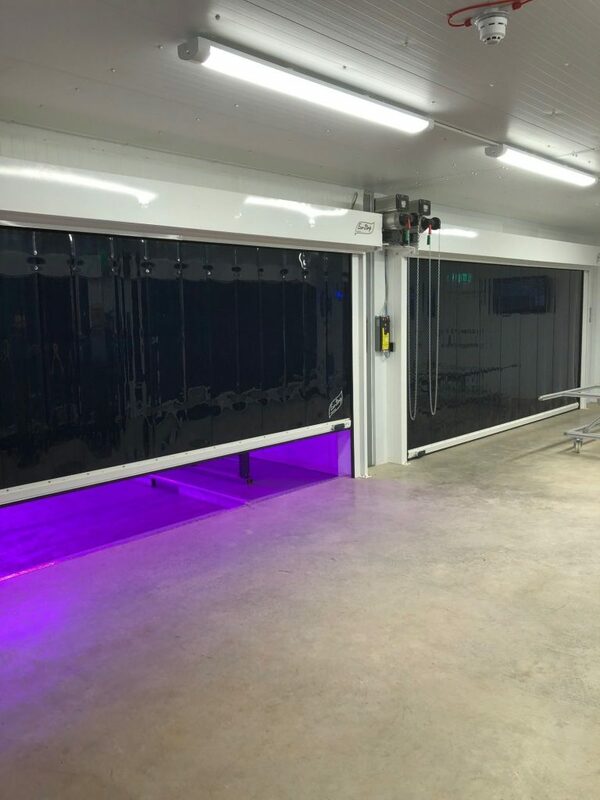 Bright UV lights are used in the growing process, so the curtain was designed using a protective PVC strip, the same used for welding screens; for the purpose of blocking the UV from personnel when the doors were closed. 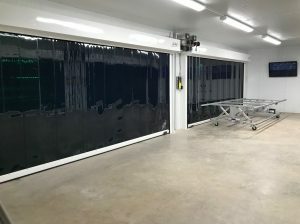 The Eco-Strips doors use the highest quality control equipment; as a result, Intelligent Growth were able to combine their own technology with that of the doors; for the purpose of gaining the desired type of automatic operation they needed. We cannot thank Dave Scott of Intelligent Growth Solutions enough for this opportunity. Not only has it been exciting to be part of something so innovative; more importantly, it has shown just how versatile the Eco-Strip Doors are and how easily they can be adapted to suit the most challenging of applications. There has been allot of world wide attention for this project; consequently, bringing with it much media coverage over the past few months. Click on these links from the BBC and Aljazeera to view just two video pieces broadcast recently. They explain how the new technology works and even more importantly, what it can mean for the worlds food production. In addition, our Eco-Strip door can be seen briefly in action; alternatively, for videos fully showing the Eco-Strips in operation, visit our Video page. 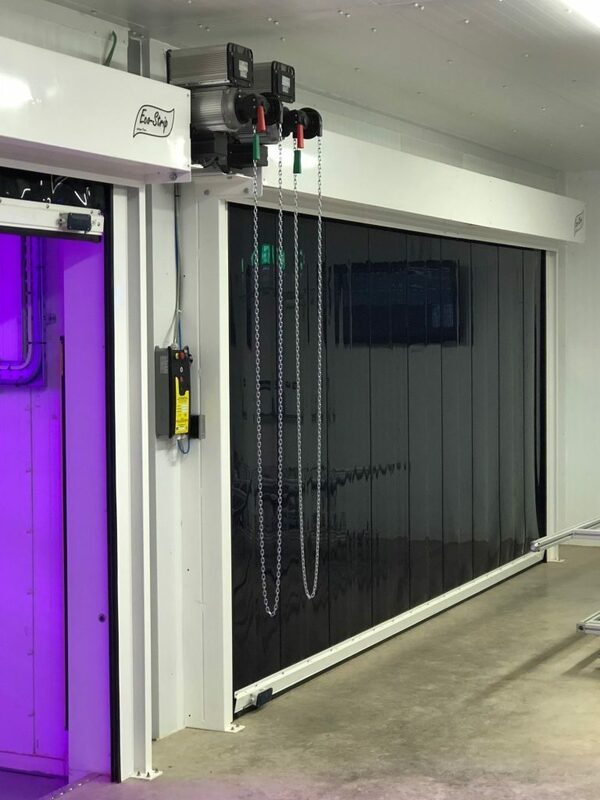 The Vertical Farm has so much potential; indeed, it promises exciting new advancements in food production and we couldn't be more pleased to be part of it. Do you have an unusual project you need advice on as to what type of doors would be most suitable? Click On Our Online Form for Advice and a No Obligation Quotation.